The Powerwise PD1215 3RC is similar to the PD1215 with 12 circuits of 2.4KVA per output, master RCD and isolator switch. It also features RCD protection per phase. 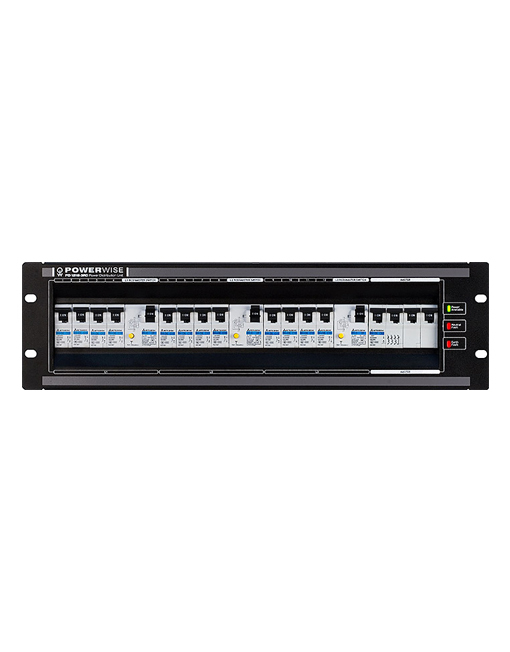 The Powerwise PD1215 3RC Power Distribution Unit is similar to the PD1215 with 12 circuits of 2.4KVA per output, master RCD and isolator switch. It also features the addition of RCD protection per phase.